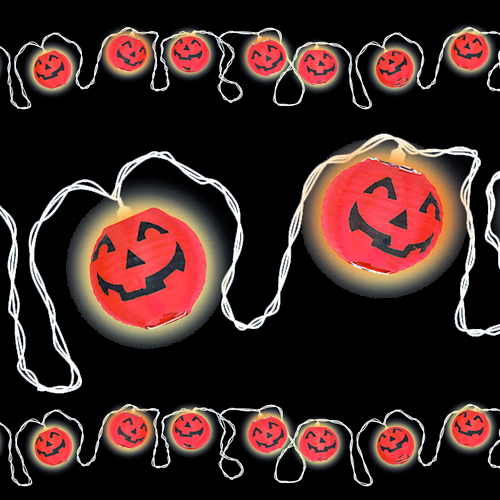 You are positively glowing this Halloween! 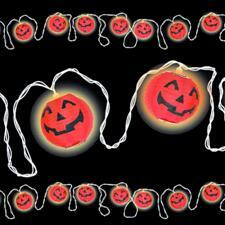 Light string features 10 orange plastic pumpkin lights. Bulbs can produce a steady stream of light or may be switched for a 2-way flashing effect. Great for patios or decorating walls or windows. Convenient string to string connections. Strand will not stay lit if a bulb burns out. Can be used indoors or out. 9 foot lighted length / 11 foot cord length.